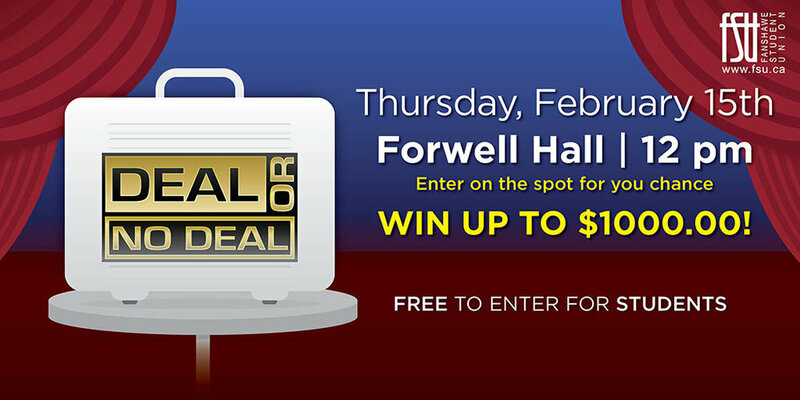 Details: Sign up in Forwell Hall to play Deal or No Deal. We'll play three games, each with a top prize of $1000 up for grabs. The sign up process will begin around 11:30 and go until shortly after noon, then we'll start the games. While everyone is welcome to attend, you must be a full-time, post-secondary Fanshawe student this Winter term to play Deal or No Deal.